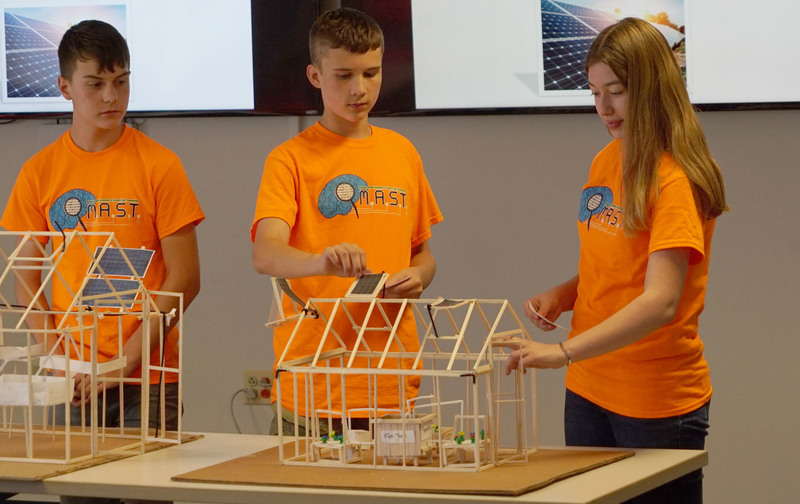 About a dozen Lewis County students spent two weeks of their summer vacation learning about science, technology and other concepts that they will use throughout high school as part of a summer camp hosted by Jefferson-Lewis BOCES. The M.A.S.T. (Manufacturing Academy of Science and Technology) Summer Camp took place July 9-20 at the Howard G. Sackett Technical Center in Glenfield. Students in 7th, 8th and 9th grades were invited to take part in the free camp. 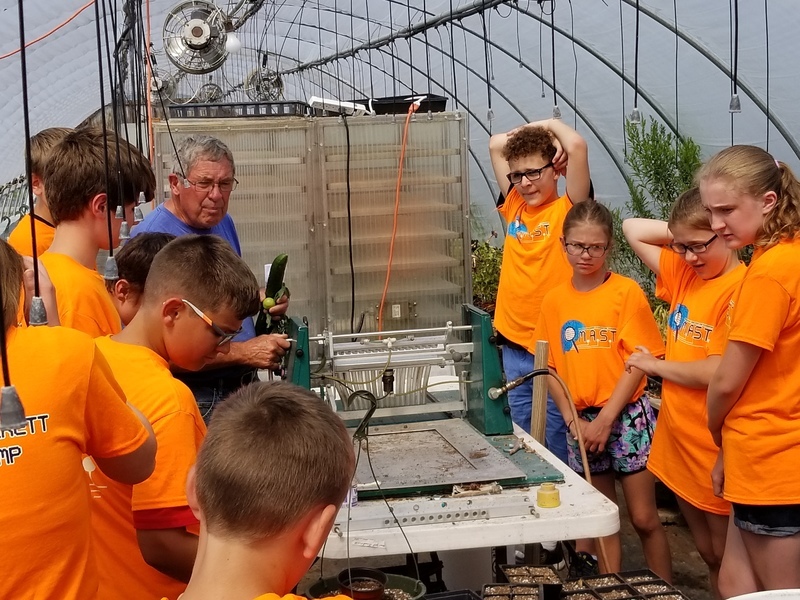 The goal of this year’s camp was to find ways to power a greenhouse located at the Sackett Center campus. The greenhouse was built by camp instructors Geoffrey Buckingham and Walter Berwick. Mr. Buckingham teaches Math while Mr. Berwick is the instructor of the Engineering & Design program at the technical center. Plans are to use the greenhouse as part of BOCES classroom instruction and finding ways to fully automate it proved to be an exciting challenge. 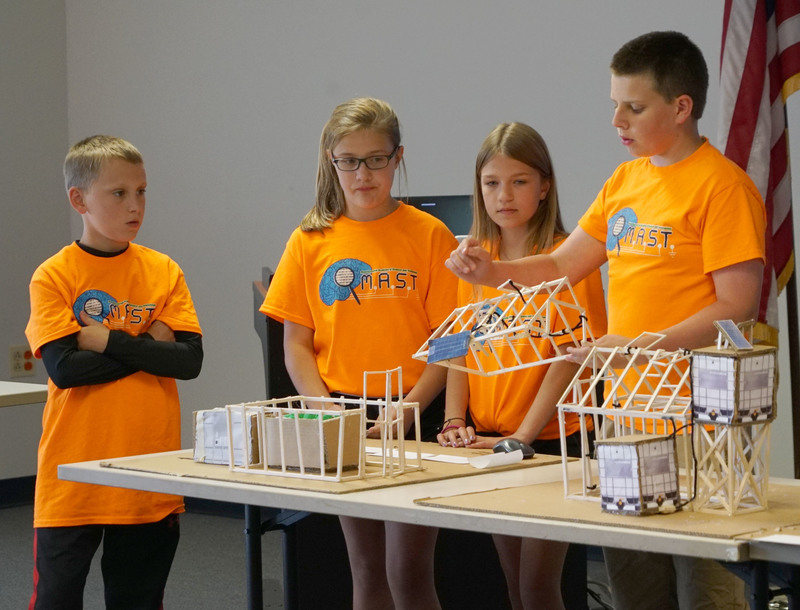 “The students had some really cool ideas. Things that neither Mr. Berwick nor I had even thought about,” says Mr. Buckingham. The students were placed in groups that were tasked with coming up with either a traditional, hydroponic, or aquaponics greenhouse. 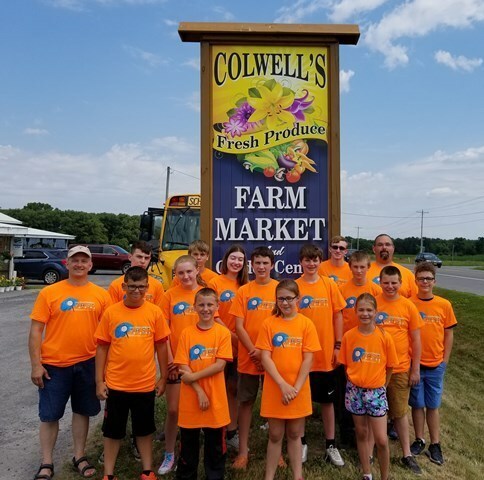 The camp took a field trip to neighboring Colwell’s Farm Market & Garden Center to learn more about their greenhouse and spent time in the classroom learning more about the science behind the different types of greenhouses and what could be grown inside them. Mr. Buckingham says students had to problem solve and research ideas on their own and had to figure out a system that would be viable and could be marketed in the North Country region. 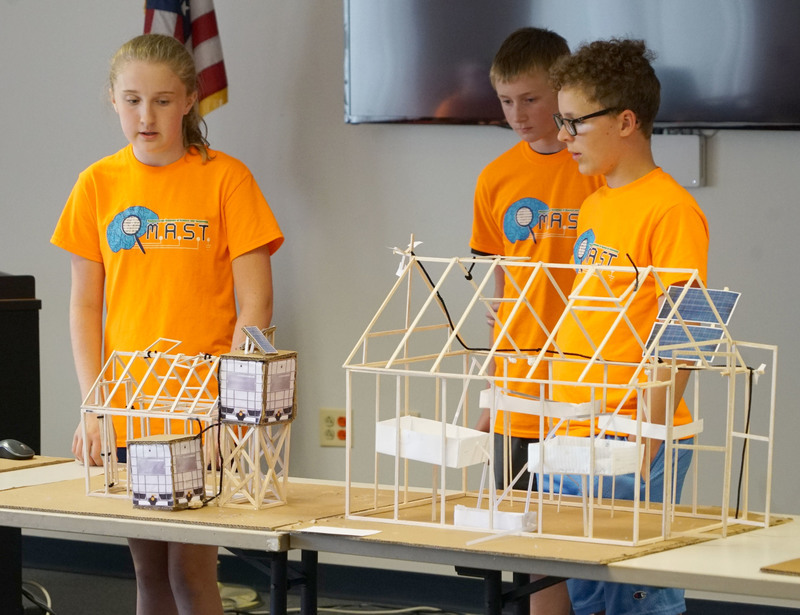 That research included the benefits and drawbacks, as well as cost of materials for each design. 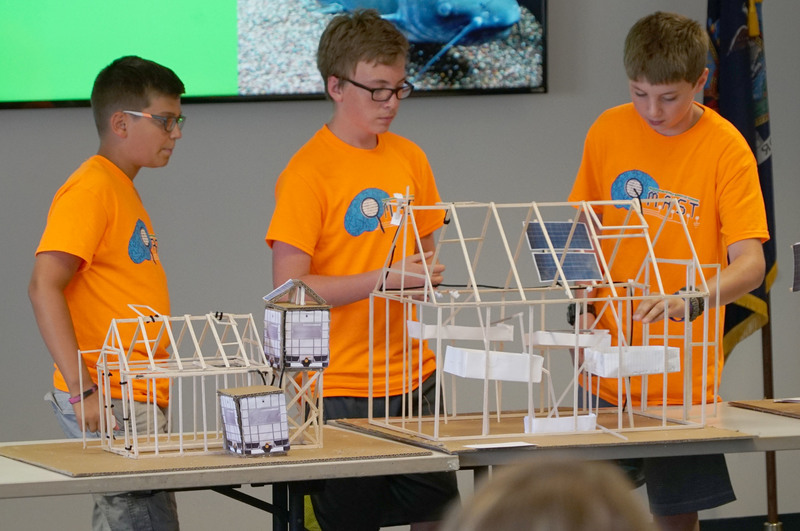 The camp concluded with students producing scale models of their greenhouse designs and presenting their findings as part of a group presentation. Many students commented that they had to work as a team with others who they had never met before and learned important concepts in regard to teamwork. “I enjoyed meeting people from other schools,” says Kaitlyn Goutermouth, an 8th grader from Copenhagen Central School. Cole Souva, a 9th grader from Copenhagen, attended last year’s M.A.S.T. Summer Camp at the Sackett Center and says he found this year camp more challenging, which he enjoyed. Mallory Kraeger, a 7th grader from South Lewis Central School says she enjoyed the problem solving aspect of the camp. Logan Munn, a 7th grader from Copenhagen, says the various activities made the camp a fun experience. Many said they would like to attend next year.